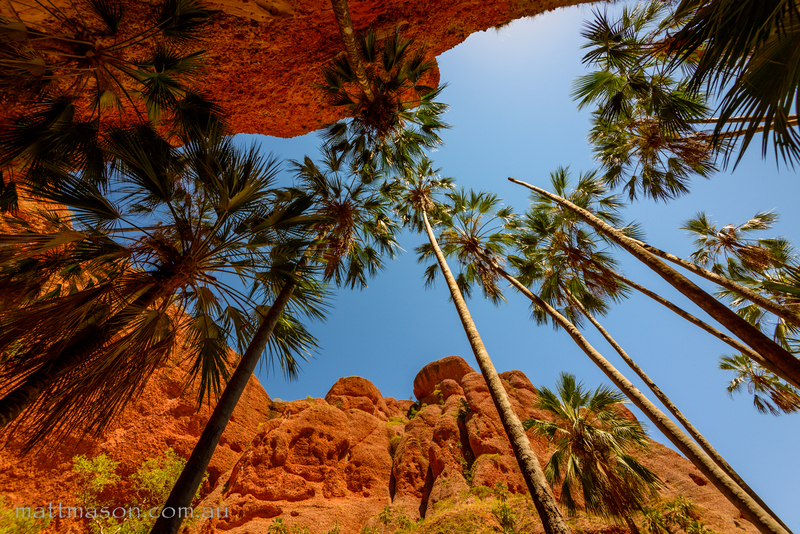 The raw beauty of The Kimberley region in the north west of Australia continues to stupefy us. Rolling into the Purnululu National Park the Bungle Bungles grow in front of us. This 360 million year old range is made up of a bunch of river stones cemented together with sediment and is a delight to stroll through it’s cracks and crevices with walls towering hundreds of metres above. It seems strange in this landscape to look up and see a canopy of Palms perched on tall skinny trunks, but we are in the tropics after all. 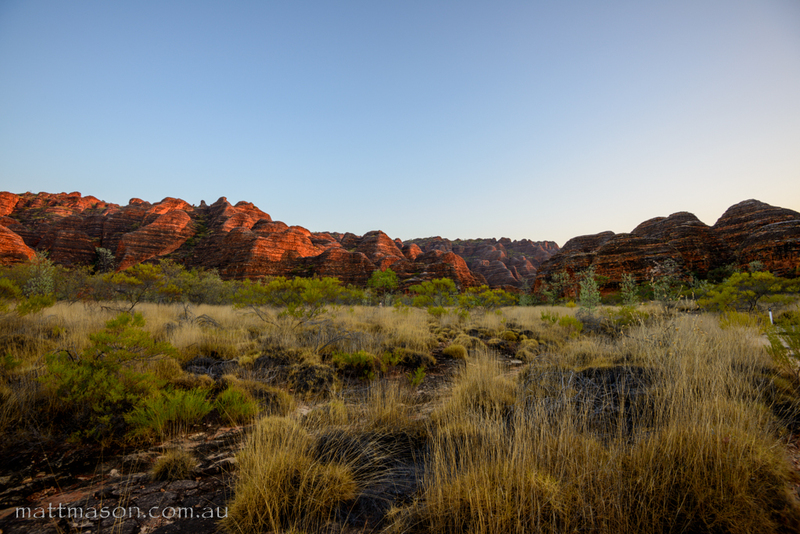 The late afternoon sun brings the colours in the rock alive providing a magical evening sight. When the sun comes back around in the morning, we are delighted with another beautiful show of light. 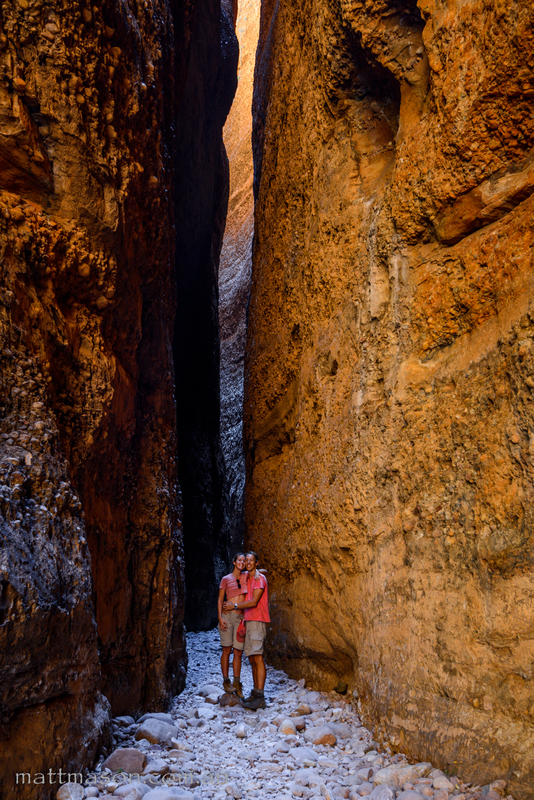 Cathedral gorge gives us a lovely place to chill as the morning starts to heat up. 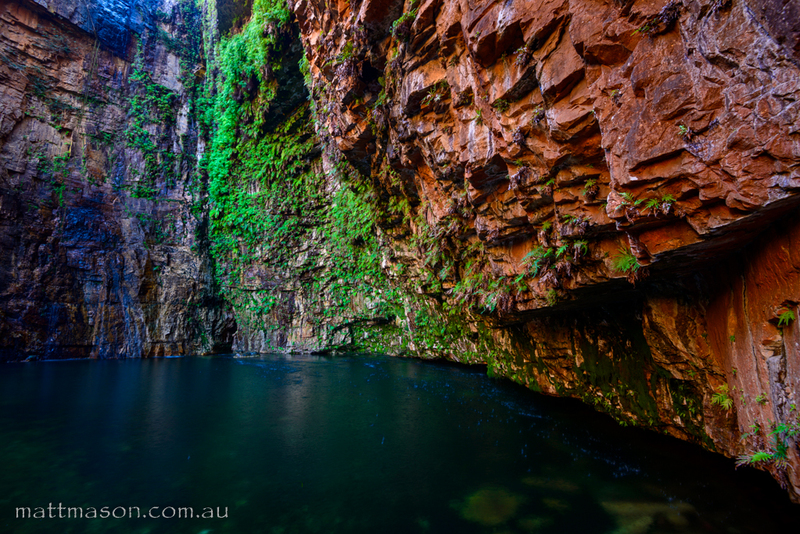 In the middle of the day Echidna Chasm provides a cool respite in the narrow channel cut through the range. 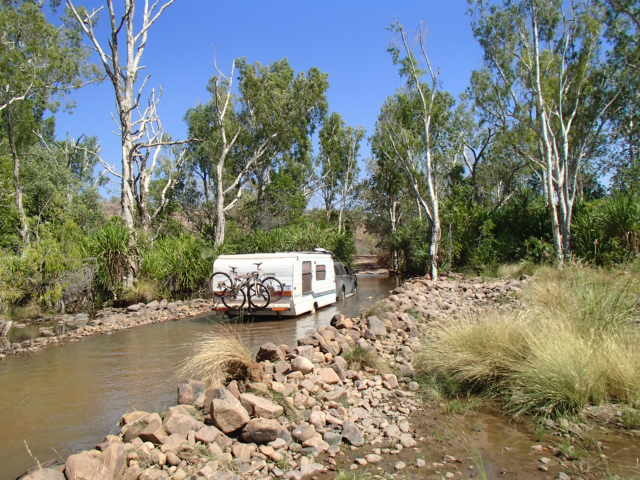 As we didn’t want to ruin our caravan pulling it over the Gibb River Road, we decided to take it down the eastern end of the Gibb to El Questro Wilderness Park, and man are we glad we did. We had to take her across a couple of creek crossings which she survived fine and enjoyed a good belly wash.
After some hot days with no relief, chilling at El Questro’s waterholes was exactly what we and the dogs needed. Between exploring in the morning and afternoons we would laze in the shade, slipping in to cool off every now and then. 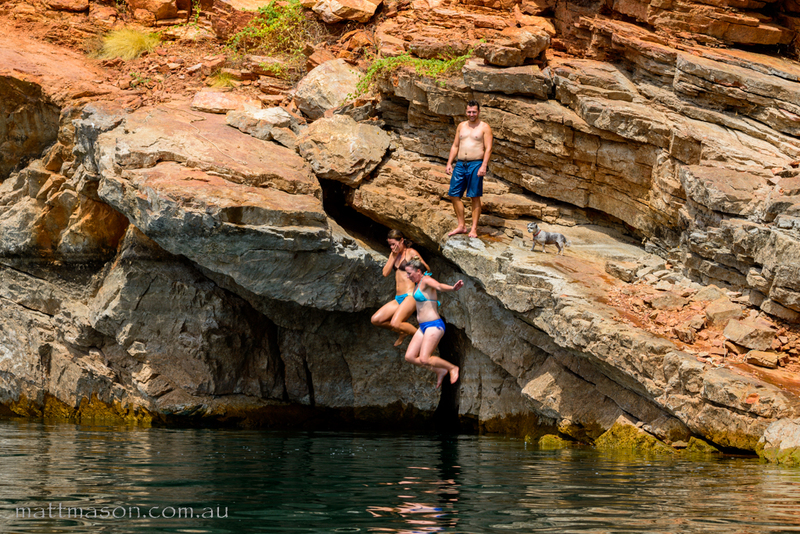 El Questro Gorge was a fun hike and swim. The lush ferns seemed out of place in this dry land, acting as a reminder that in a few months time this place will be like a rain forest. 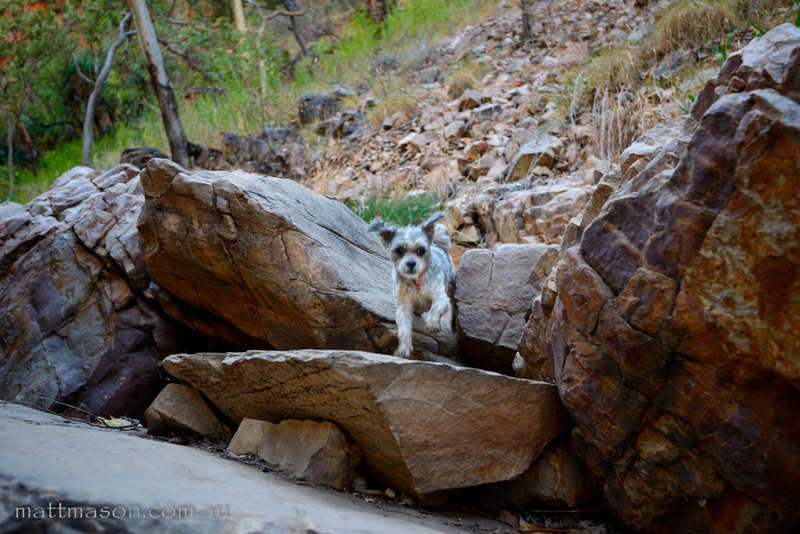 Molly proved her climbing skills on the rocky walk to Emma Gorge. After a gorgeous 45 minute hike we were blown away when we arrived at the magnificent 65m high fern covered cliffs. The water seeps through the rock and droplets fall from the overhanging rock face causing it to rain on the huge pool. A very refreshing reward after the hike and our first experience of rain in months. 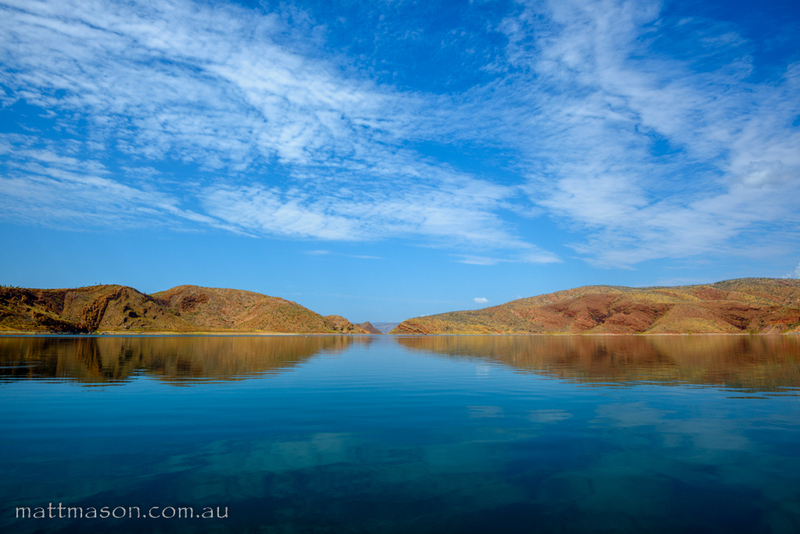 Before making it to the border we found one last West Australian jewel, Lake Argyle. Commanding your attention from any viewpoint, the lake and it’s surrounds are simply stunning. 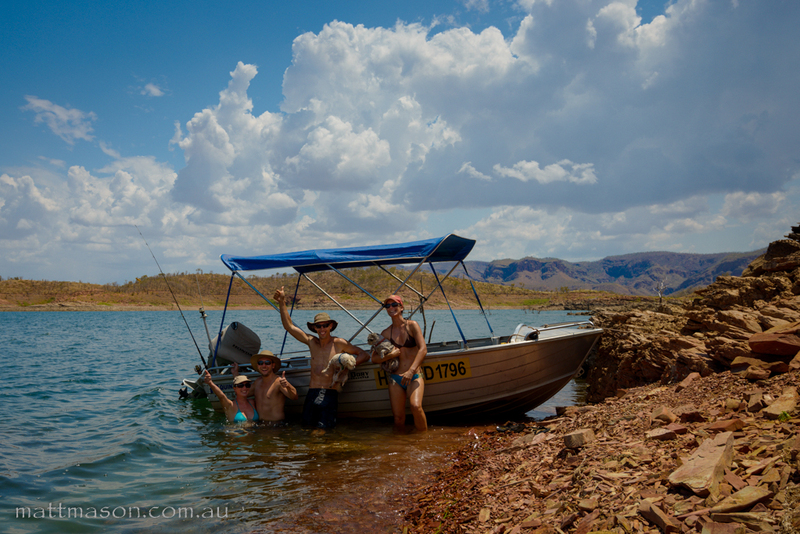 We enjoyed Australia’s largest reservoir from high and low with our new friends Andy and Che. The boat allowed us to explore the nooks and crannies, meet the wildlife and have some fun. When our car battery completely died it was an easy decision to stay another night to sort it out . 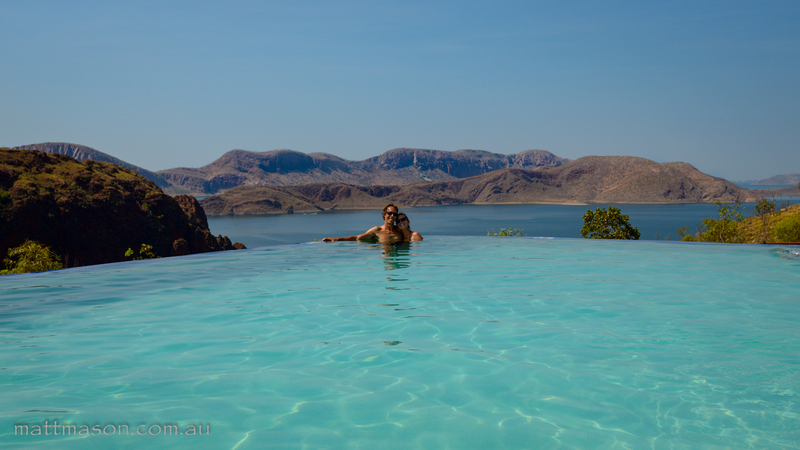 We made the most of the cool and the views of the infinity pool. Accessing the rugged beauty of The Kimberly takes its toll on your vehicle. A few days in Kununurra allowed us to repair the various little issues with the car. Andy and Che were doing the same so it was nice to hang with them a bit longer. Exploring The Kimberly was definitely one of our highlights. We will be back here for certain and would love to see it just after the wet season. It’s sad to leave WA. We spent longer in our home state than we anticipated. We’ve loved every minute of it and now we’re excited to cross the border to a new adventure. This entry was posted in Australia, Camping, Hiking. Bookmark the permalink. …………made my heart speed up a bit to see you jumping off those rocks Matt. Promise you’ll always check the depth of water and whether there’s rocks in the way before you do that!!! ………………sorry, just being mum. 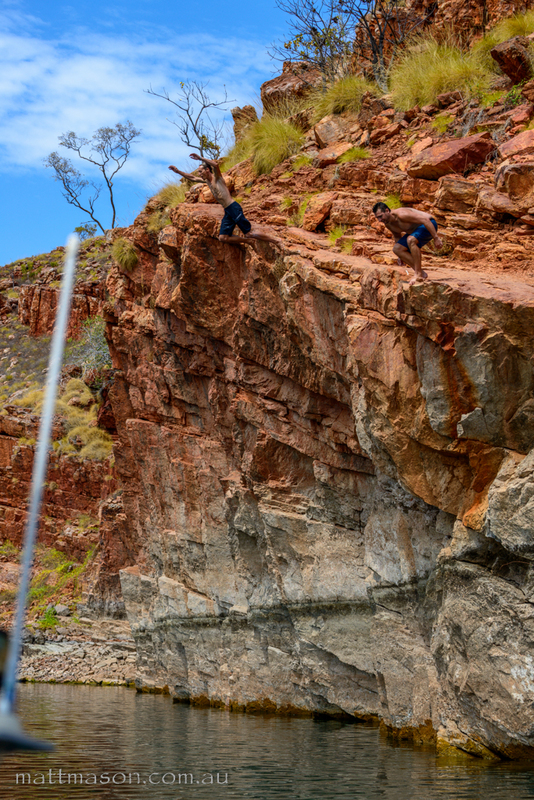 Echidna Chasm was a fabulous shot – great job getting the height there. Well, you certainly have had a wonderful time in WA. Guess you’ll be travelling forever now? ?